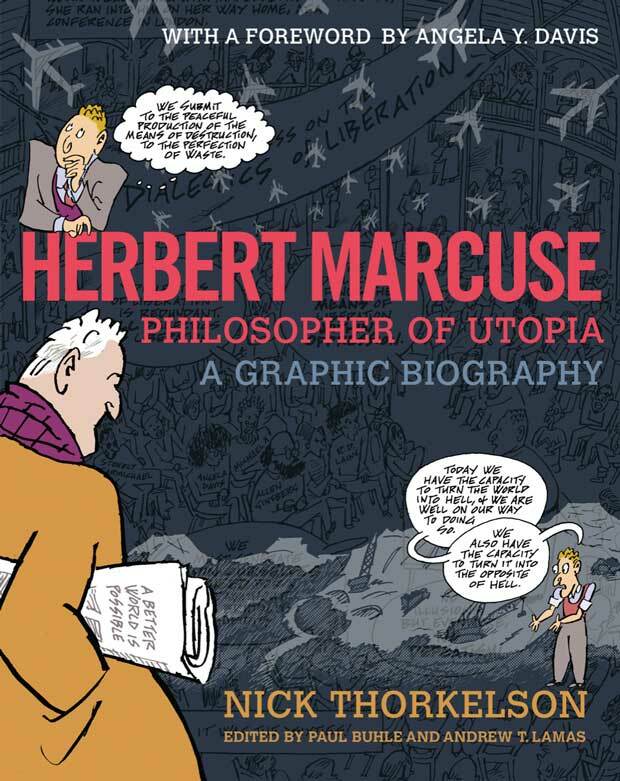 “Marcuse on the MTA” is an excerpt from Herbert Marcuse, Philosopher of Utopia: A Graphic Biography, forthcoming from City Lights Books in April. April, 2019. He has done cartoons on local politics for The Boston Globe and in support of organizations working on economic justice, peace, and public health. He is the co-author and/or illustrator of The Earth Belongs to the People, The Underhanded History of the USA, The Legal Rights of Union Stewards, The Comic Strip of Neoliberalism, and Economic Meltdown Funnies, and has contributed to a number of nonfiction comics anthologies. He is working on a graphic biography of designer/socialist William Morris. Nick also moonlights as a musician, animator, graphic designer, and painter. Nick Thorkelson is a cartoonist living in Boston. “Marcuse on the MTA” is an excerpt from Herbert Marcuse, Philosopher of Utopia: A Graphic Biography, forthcoming from City Lights Books in April, 2019. He has done cartoons on local politics for The Boston Globe and in support of organizations working on economic justice, peace, and public health. He is the co-author and/or illustrator of The Earth Belongs to the People, The Underhanded History of the USA, The Legal Rights of Union Stewards, The Comic Strip of Neoliberalism, and Economic Meltdown Funnies, and has contributed to a number of nonfiction comics anthologies. He is working on a graphic biography of designer/socialist William Morris. Nick also moonlights as a musician, animator, graphic designer, and painter.